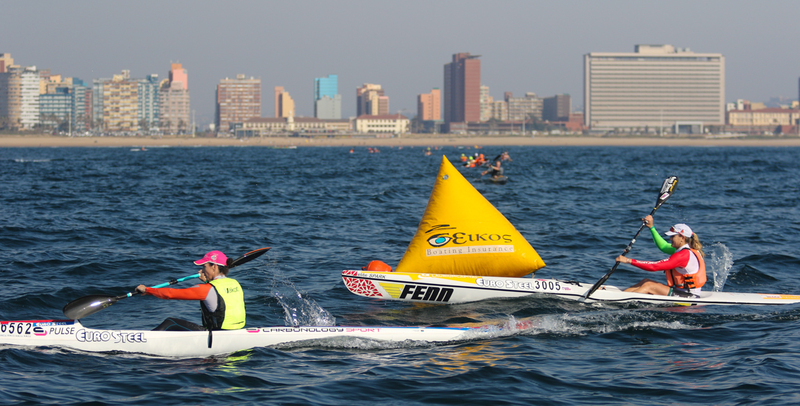 Durban - The popular four-leg Bay Union Open Ocean Surfski Challenge drew to a close with an innovative team format race for the JD Sebenza Geriatskis race that saw Gene Prato become the only the second paddler to race onto the top step of the overall podium in the Sunday morning series. In a deliberate effort to shake up the hotly contested surfski racers and to focus on fun and a new tactical format, paddlers were able to race in teams of two singles, singles and doubles or two doubles, with the full team taking on the first and fourth laps, and individual boats alternating in the middle two laps. Prato partnered the on-form Luke Nisbet, and they blasted space between themselves and chasers Hamish Mackenzie and Brendon Delport on their solo laps to win by a cavernous four minute margin. "That was a great way to end the series," said Prato. "It shakes things up a bit and makes it interesting." "It would have been really interesting if Hank (McGregor) had been here," he added. "The team format was great," added Nisbet. 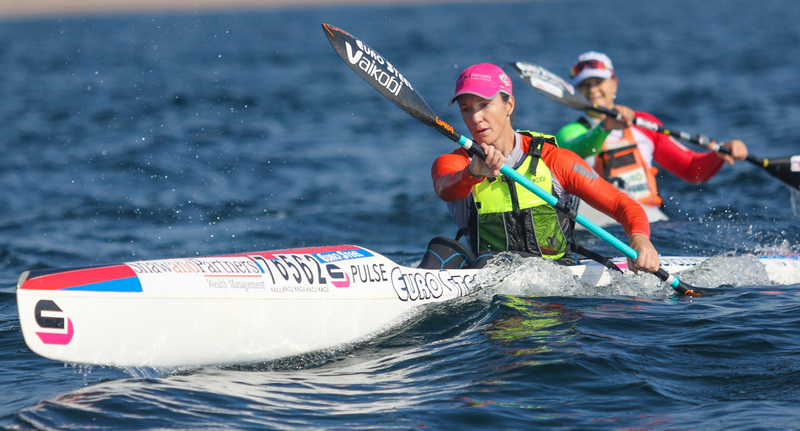 "Initially it seemed to make sense to go flat out, but then the team legs were timed by the last paddler home so we worked together on those legs." 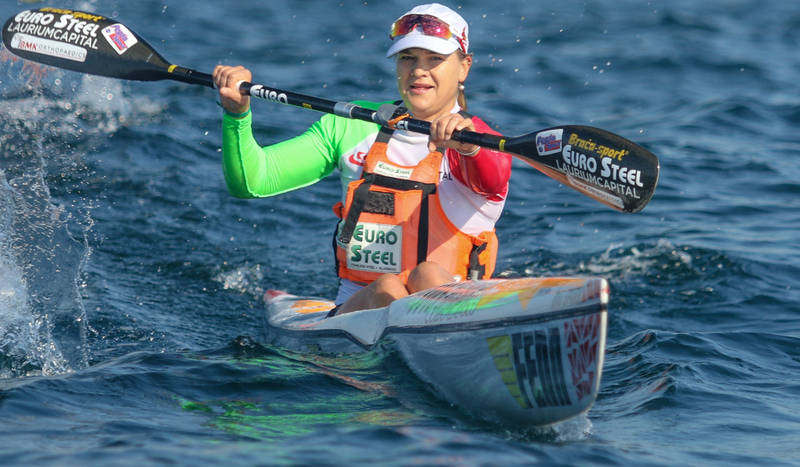 Third overall was the women's team of surfski world champ Hayley Nixon and Olympic sprint medallist Bridgitte Hartley, winning the women's title by over three minutes from the pairing of Jenna Ward and Donna Winter, who finished seventh overall. The outing was key training for Nixon and Hartley as they prepare for the marathon world championships in Portugal in early September. "The race felt good for me today and it was exciting to see how strong Bridgitte (Hartley) was today," said Nixon. "Every time she gets onto the ocean she gets better and better." "It was so exciting to see another very strong women's field," she added. The only other double winner of the series Andy Birkett enjoyed the outing with his wife Nikki, making her comeback to racing after the birth of their child, finishing sixth overall. The team of Jason Ekstrand and the doubles pairing of Alex Masina and Hamish Lovemore won the single and double format ahead of Richard Lowe and the double ski of youngsters Callam Davis and Stewart Little. Continuing their excellent run of form, the Bay Union development team of Umnini coach Mhlengi Mngadi and the crew of Minenhle Ntombela and Paulos Shozi raced into the top five once again, missing a spot on the podium by one place. The all doubles format race was won by Malcolm Pitt and Craig Greenland, partnering Greg Worthington and Michel De Rauville. 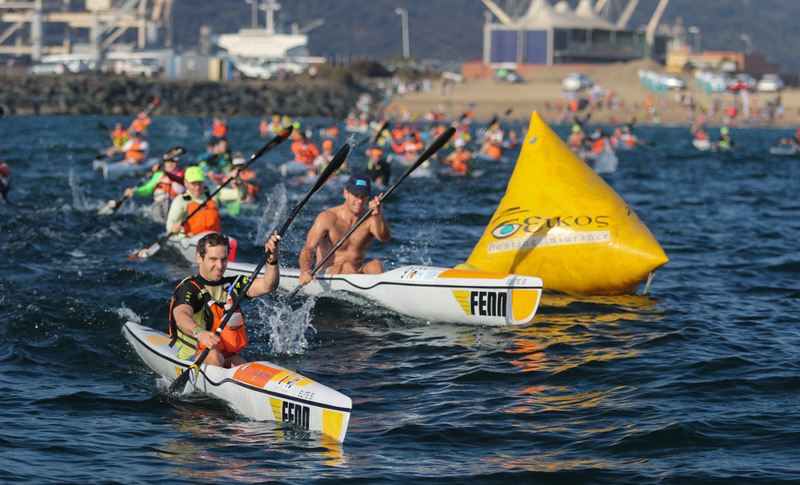 The race was made up of four laps designed to make the most of the choppy onshore winds, giving the paddlers a downwind leg into the finish at Vetch's Beach. 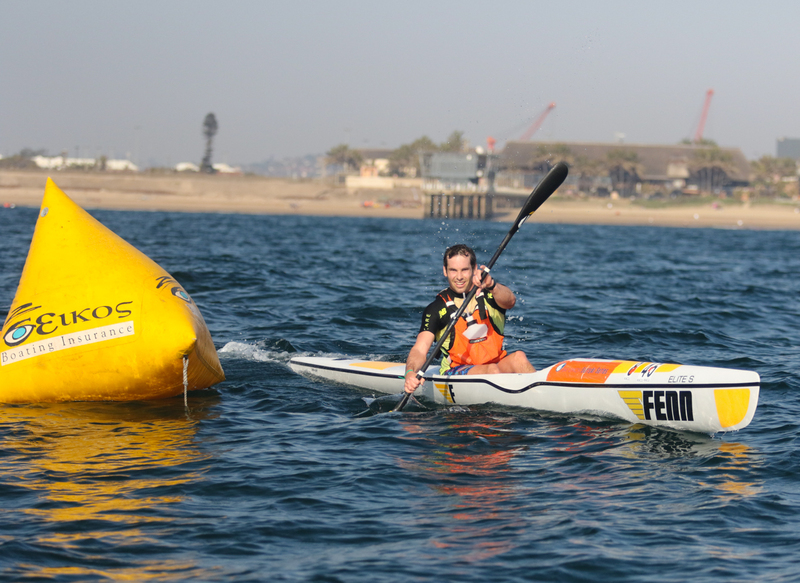 LEG FOUR OF THE BAY UNION OPEN OCEAN SURFSKI CHALLENGE.